Note: This instruction video shows our Broken Glass Keeper. 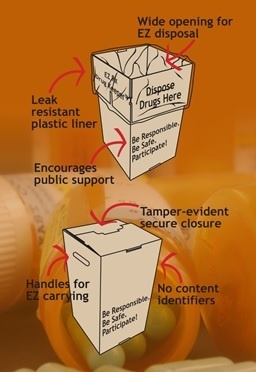 The Prescription Drug Keeper configuration is identical, folds the same way but is unprinted. It's so easy working with Whitney! We offer quick turn around on quotes. 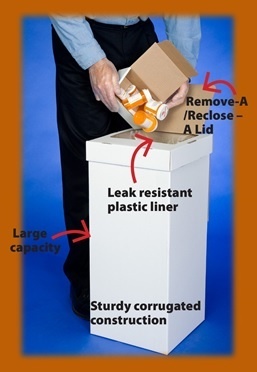 Our containers ship in bulk or you have the option to choose convenient 6-packs. Ship to any and all locations you specify. Our responsive customer service is always happy to help. Copyright © 2017 Whitney Medical Solutions. All Rights Reserved. Powered by OneIMS.